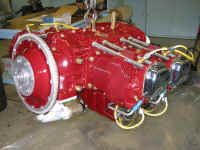 Johnston Aircraft Service, Inc. is a Lycoming engine overhaul specialist. For more details and information see the engine section of this site. We overhaul VO 435 and VO 540 Helicopter engines!! NEW, REMANUFACTURED and OVERHAULED LYCOMING FACTORY ENGINES ALSO AVAILABLE.